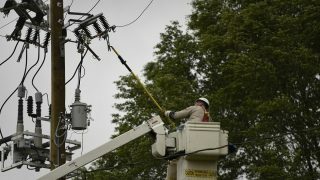 Alabama Power’s Transmission group is out in full force in the Florida panhandle, with 284 personnel helping Gulf Power restore electricity in the wake of Hurricane Michael. It’s a humbling experience for Line Construction Manager Wray Anderson, whose 145-person team is putting the big wires up some 40 miles north of the Gulf of Mexico. The strongest winds of a hurricane are immediately to the east of the eye, which apparently did the damage Anderson saw. While national media coverage has focused largely on Mexico Beach, the hamlet of Blountstown, Florida, has been without power a week and is still without electricity as of Wednesday afternoon. Anderson’s crew is feverishly working on a transmission line that will provide power to the town. 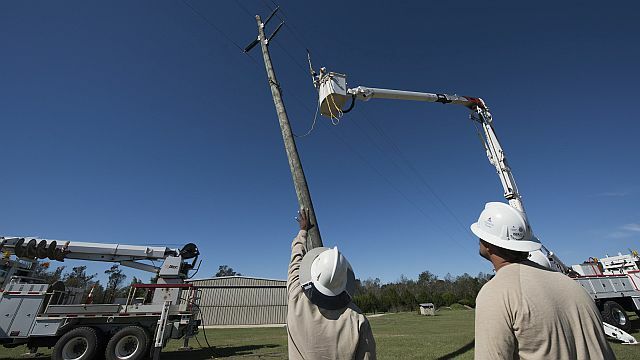 Anderson’s team will be working on a transmission line to the north of Blountstown. His group will then head back south to restore a major transmission line Georgia Power crews have started working from the Panama City area headed north. The two will meet in the middle. Another Alabama Power team of 44, led by Transmission Supervisors Steven Harry and Luke Stafford, is in the panhandle supporting Gulf Power with substation and transmission line support.